The eighth open Yamal-Nenets regional round of the All-Russian youth readings named after Vladimir Vernadsky was held in Noviy Urengoy with support of “Gazprom dobycha Urengoy”. It was held as part of the International forum “Noviy Urengoy — the gas capital of Russia”. More than 200 pupils and teachers from Yamal-Nenets Autonomous Okrug, Tyumen Oblast, Thailand and Germany participated in the events. At the opening of the forum Vladimir Kobychev, the deputy director general for production and treatment of gas condensate and oil of “Gazprom dobycha Urengoy” marked significance of the company’s long-term fruitful cooperation with the Non-Governmental Environmental Foundation named after V.I. Vernadsky. It allows fulfilling joint informational and educational work on careful attitude to native nature and its valuable riches. During several days the participants of the forum shared their research, new knowledge and ideas, as it is reported in the service on public relations of “Gazprom dobycha Urengoy” to the news agency “Sever-Press”. The main presentations of the contestants were held within poster sessions, where the pupils presented the results of their research works. The best projects selected by the expert commission in each subject section were presented at the plenary hearings. Also the second Yamal-Nenets regional round of the All-Russian contest of research works for pupils of the 5th-7th forms “On the path of discoveries by V.I. Vernadsky” took place within the forum. 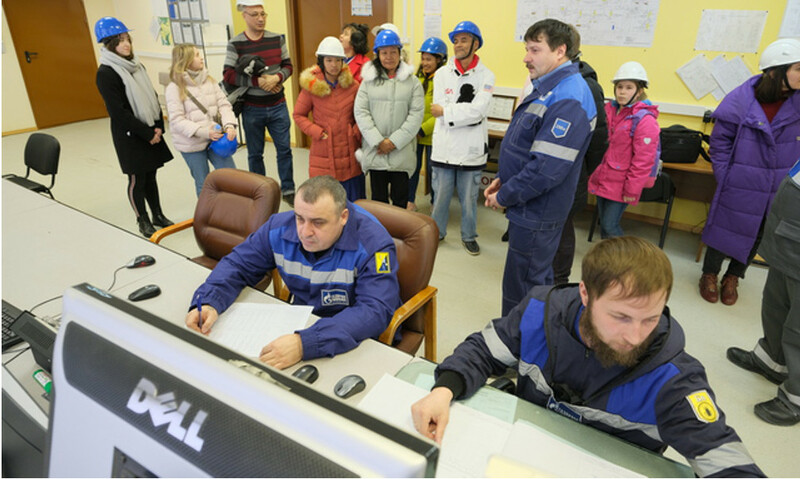 Within the contest days the young researchers visited production objects of “Gazprom dobycha Urengoy”, where they learned about the process of gas extraction and also got acquainted with stages of development of the enterprise in the Museum of the company’s history. By the results of the stage “in presentio”, 10 authors received the right to represent the region at the All-Russian youth readings, which will be held in April in Moscow. Three schoolchildren of Yamal were selected in the contest “On the path of discoveries by V.I. Vernadsky”. It should be noted that the All-Russian youth readings named after Vernadsky is an educational program, the main task of which is in creative development of young researchers.